Happy Mother’s Day everyone! Instead of drawing a character this time around, we’re drawing a tribute to mothers. 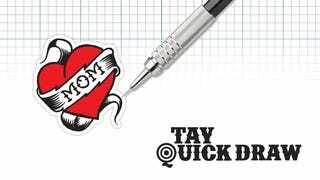 Design a tattoo that your favorite/interesting character would get for their mom. That or draw them getting a tattoo! Give yourself 30 minutes of uninterrupted concept/drawing time. After the 30 minutes is done, put down your pencil/pen/stylus and upload your work in the comments.